If you’ve already decided that it’s time for a change of scenery but you’re still not quite sure where you’d like your new home to be, there are a few things you should consider before making the call on your next destination. Do you enjoy the hustle and bustle of city life, or do you need a bit of peace and quite? If you love staying up late and taking advantage of restaurants, bars and nightlife on a regular basis, you should consider somewhere more urban like New York City, Chicago or San Fransisco. If you like hiking in the mountains or enjoying a quiet afternoon on the water, you should consider somewhere a bit more rural like Bar Harbor, ME, Durango, CO, or Jackson, WY. There are also great cities that can cater to people who love both the city and the outdoors. You CAN have the best of both world in small cities like Portland, ME, Burlington, VT, and Park City UT. Weather is one of the most important things to consider when deciding on your new home. Avoid the North East if you shutter at the thought of temperatures below 40 degrees, not to mention dealing with a few feet of snow in January. And if you would hate running your air conditioner all summer long, you’ll want to steer clear of states like Florida or Arizona. However, there are a few places that the weather is mild throughout the year. California in general is known for great weather all year long. This is most likely why it has the highest population in the country! Other mild-weather states include; Virginia, North Carolina, Maryland and Hawaii. YOU’RE GOING TO HAVE TO PAY FOR THAT. 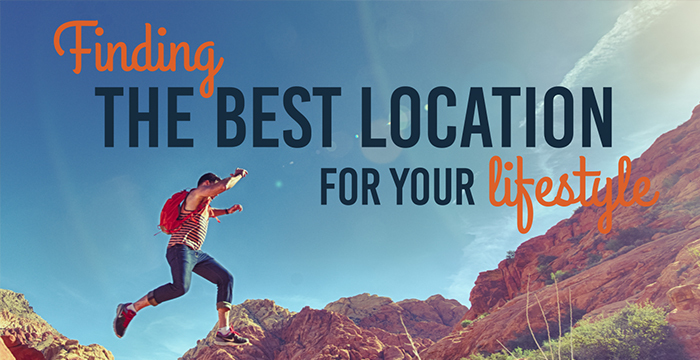 Cost of living is another important factor in choosing a new location for your relocation. You may love the weather and location of San Frasncicco, but those amenities also come with a very high price tag. If you’d rather spend a little less on your living expenses, but still be close to San Francisco; Oakland and San Jose are both worth a look. Other cities like Birmingham, AL and Knoxville, TN top Forbes list of “America’s Most Affordable Cities”. Proof that you can still have nice weather and great amenities without paying $2,600 a month for a small studio apartment. Once you’ve found a place you love, if you’re unable to get a job in or near your new home, it is going to be difficult to stay. It’s a great idea to research what the job market in the different areas before deciding on a location. If you see many job opportunities and openings in an area, that’s a good sign that the local economy is thriving! If possible, line up a new job or at least prospects before you move. This will help your transition to your new area go as smooth as possible! There are clearly many factors to take into consideration when looking for a new location to fit your lifestyle, but if you find a new location that feels right and is within your budget, there is a great chance that you will enjoy your new home too! Regardless of where you choose, Earl W. Noyes & Sons can help you (and all of your belongings) get there smoothly and efficiently! Contact us and we’ll show you why generations of Maine residents have chosen us as their moving company.